This year for our countdown to Christmas we're going to read one Christmas book a night. 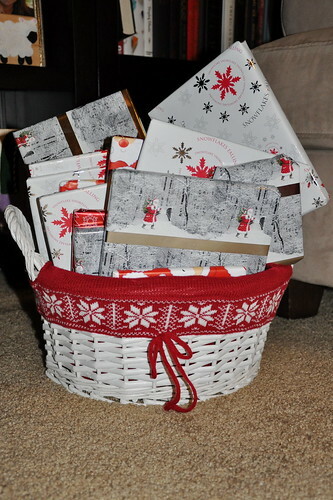 We have 24 Christmas books wrapped and waiting in a basket. All of the Christmas books. She's so excited to get started!! We started our countdown a couple of days late due to Jacob's crazy work schedule last week. 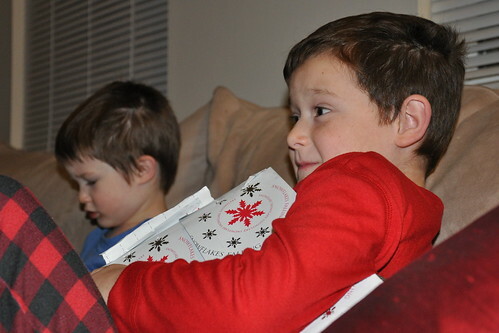 The plus-side was that the kids got to open and listen to FIVE books!! And Lexie caught on right away and opened two! 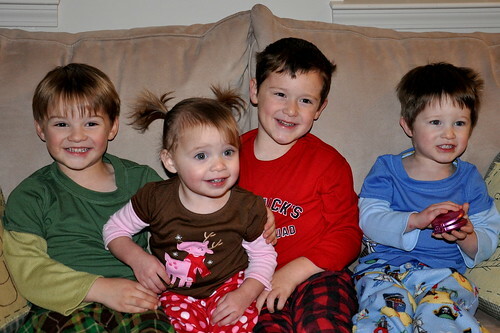 Lexie didn't enjoy sitting and listening to all of the books as much as the boys did. Instead, she took whatever book Jacob wasn't reading and read it to herself. Her stories were "blah, blah, blah, DOGGY!" 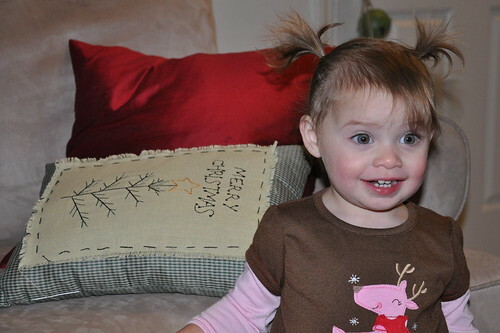 every time she saw a reindeer, a donkey, a camel, etc. 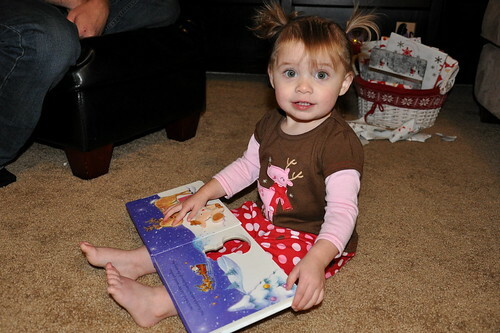 Reading about Rudolph's first Christmas! Christopher and Ben (and Nick) listened nicely! 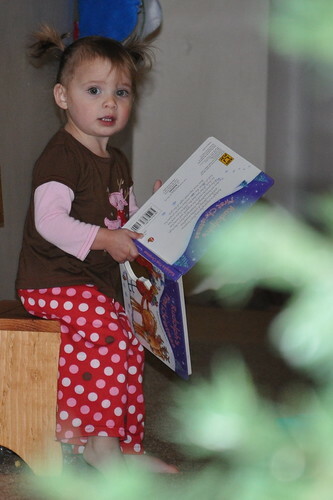 Then Lexie ran down the hall with her book and read it in the other room. 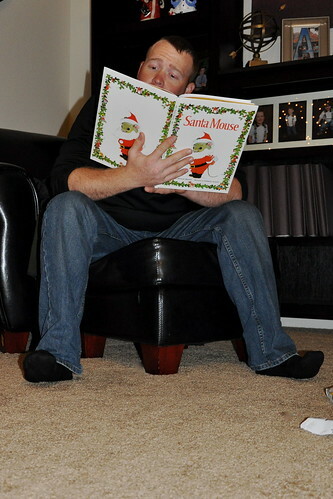 Daddy did a great job reading all of the books!! What a great idea!! 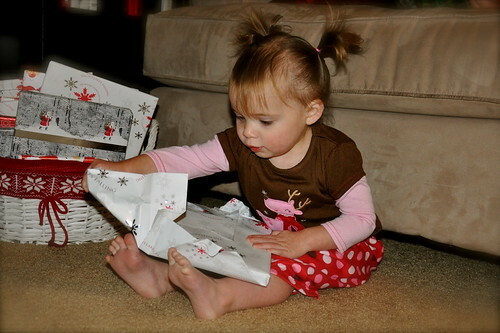 And I LOVE Lexie's pigtails... so super cute. Great idea!! Boy, Lexie's going to be one independent girl. Reminds me of somebody, now who would that be....?